I was fortunate enough to be placed in the large Northeastern province of Ubon Ratchathani. It is so far east that it is only a 2 hour drive to the Laos border. Although there isn’t much about it online, I was pleased to find that it wasn’t a rural, isolated town like it seemed to be when I got my placement. It’s actually a pretty huge, relatively urban place. We have an airport, a train station, two bus stations, two shopping malls, two bowling alleys, three cinemas, multiple gyms, countless temples, and a plethora of schools. One of my favorite things about Ubon is that, as developed as it is, it is by no means a tourist destination. That means that I was able to enjoy many of the comforts of home, without losing that important element of waking up every day and knowing that you are far away from what you’re used to. My boyfriend fought in a Muay Thai match last semester 30 minutes out of the center of town, and it was like being in a completely different place. It was nice to know that if you wanted a break from the (relative) hustle and bustle of the city, the rural village is a stone’s throw away. There are plenty of falangs here (we have a group of about 15-20 now, plus the older teachers who we don’t see quite as often), but we are still a novelty. I loved the mixture of urban society, as well as the strong presence of Thai and Isaan culture. When I first got to Ubon, my school sent a van to pick me up and take me to the school. There, I met with the director, went over my contract and signed it, and then she showed me to the teacher apartments that were about 50 meters down the road from the school gates. The studio apartment was cozy and the proximity was convenient. I had a microwave, shower, western toilet, TV which I never used, medium sized fridge, vanity set, a closet and set of drawers, and a huge bed with shelf space. 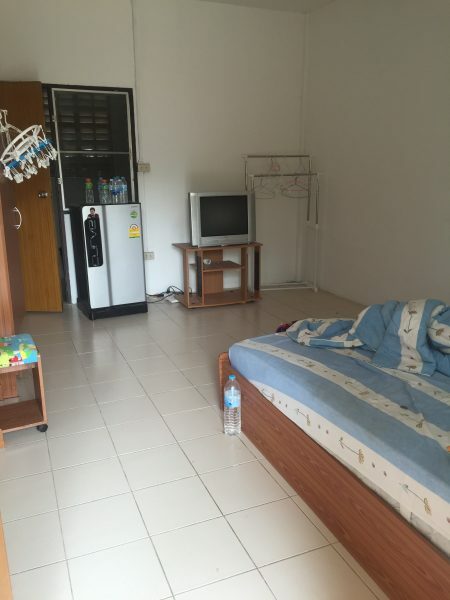 I stayed at the apartment for most of my first semester, and paid 3000 baht plus utilities. Then, towards the end of my first semester here, I took on a roommate and we found a beautiful two bedroom house with a full kitchen, three bathrooms, flat screen TV and surround sound system, a pool, garden, patio, and balcony for only 5000 each plus utilities. 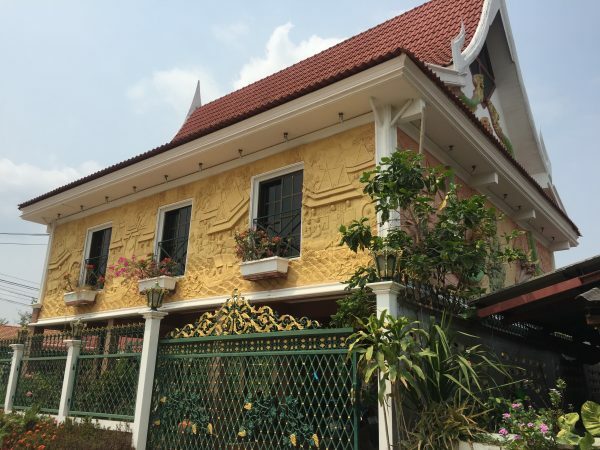 We loved our beautiful house and the cute little Thai woman who rented it to us. I didn’t mind paying the extra money, as I loved every minute spent in the giant house. When I moved out of my school apartment and into the house, I decided to rent a motorbike in order to get to and from school more easily. I could have taken a taxi to and from every day, or tried to memorize the songtaew schedules, but I figured that having my own set of wheels would be more convenient, and I wasn’t wrong. 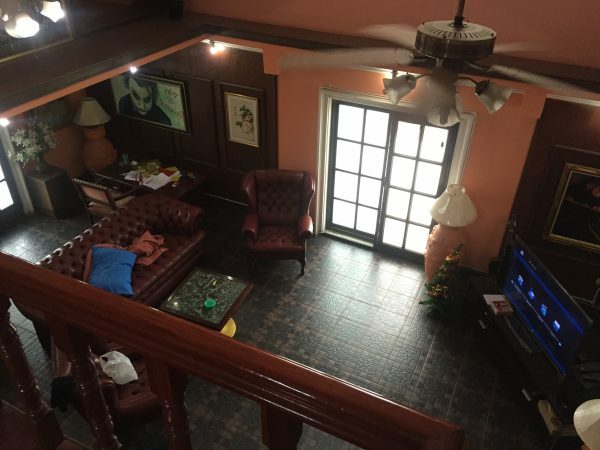 I rent from the owner of one of the most prominent Falang-owned restaurants in Ubon, Outside Inn. The owner, Brent, is a former Peace Corps. volunteer who met his gorgeous Thai wife, Tun, and settled into the restaurant/hotel business. Outside Inn is a regular hub for all of the young falang teachers, as Brent does his best to help all of the newbies get settled and find their way around Ubon; the restaurant (closed on Tuesdays) has a great weekend brunch menu, the best Mexican food I have ever had in Thailand, hosts monthly quiz nights with 50 baht pints/cocktails/glasses of wine, AND he and his wife just had a beautiful baby! Her name is Brooklyn and she has the absolute sweetest face I have ever seen. Another great place that Westerners go for breakfast is Pepper’s. They have their own bakery and cafe, as well as a full-fledged restaurant. They, too, serve Mexican, and Thai, as well as Italian, German, and other International dishes. Pepper’s is very near to the airport and the man-made lake that I used to run laps around after school, Huay Won Nong. It is owned by my favorite Falang-Thai couple of all time, Julian and Bee. Bee’s English is perfect and she is so sarcastic and funny. They are so sweet together, and they are great friends of Brent and Tun; the two married couples often dine at each other’s restaurants and I love the camaraderie in place of competition! 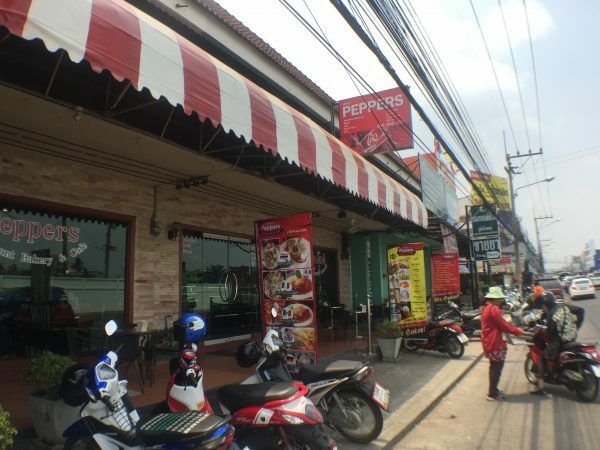 Definitely head to Pepper’s to get an iced latte (the best I’ve ever had in Thailand) and to enjoy the witty banter of Julian and Bee as they get to know you. Also, add them on facebook so that you can rush over and grab a handful of bagels whenever Julian bakes them. Every other Sunday (or whenever he has time) Julian bakes a few batches of bagels and pretzel bread, and let me tell you those things fly off the shelves. There are also weekend day and night markets by Big C, as well as a weekend night market by the Munn River, if you’re in the mood for cheap, yummy Thai. There’s a nice section of the day market by Big C that is all second-hand clothes, so it’s fun to go bargain hunting if you can stand the heat under those huge tents! There’s honestly no shortage of places to eat in Ubon. My advice would be to try and avoid haunting the same places (besides Pepper’s and Outside Inn), or else you might miss something! Lastly (but certainly not least), when you’re in the mood for mind-blowing pizza, go to Spago Pizza. It’s a bit further out and pricier than the other restaurants, but the chef and owner is Italian and his menu is to die for. Definitely some of the best pizza I have ever had in my life. I like running, so after school and tutoring, I usually go home, change out of my school clothes, and run around the lake by my house. There are cute lotus lamps and beautiful, color-changing fountains that run at night. I love people-watching, as there are always a ton of couples taking cute photos around the romantic background. Also, there are a ton of hot-pot or “Moo Ka Ta” restaurants along the lake where you can sit on mats and have a good meal for relatively cheap, while enjoying the view. I love it down there. On most weekends I tend to relax by the pool or catch up on housework, but sometimes we plan group trips to some of the nearby day trips, like Sam Pan Bok (3000 holes), any of the waterfalls, the Red Lotus Sea in Udon Thani, or the cave paintings and national park trek a few hours out of town. All in all, I have absolutely loved my time in Ubon Ratchathani. I would say to get as involved as you can; host a quiz night, meet the other teachers (there are always tons because of all the different schools — YES II, Anuban Ubon, Benchama, Assumption, Ratchapat University, Narinukun, etc.) — spend an evening getting to know Brent and Tun, spend another morning talking to Julian and Bee about how they met. Learn as much Thai as you can from your coworkers, say yes as often as possible, take up a tutoring job and get to know the family. This place is magical, and you don’t want to miss a second of it! 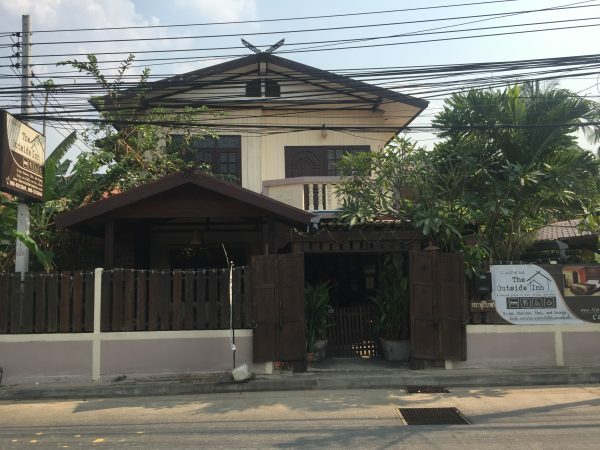 Ubon isn’t for those who want thrills, or a fast-paced lifestyle like Bangkok but for anyone who wants to set down some roots, dig into the culture, and really have a chance to get to know their surroundings, Ubon is a fantastic place to be.